Wind. Rain. Sun. Rain. Rain. Sun. Does that pattern sound familiar to you? Your skin changes as much as the winter weather and like protecting your body from the elements protecting your skin is just as important! Winter is probably the most challenging time for our skin. 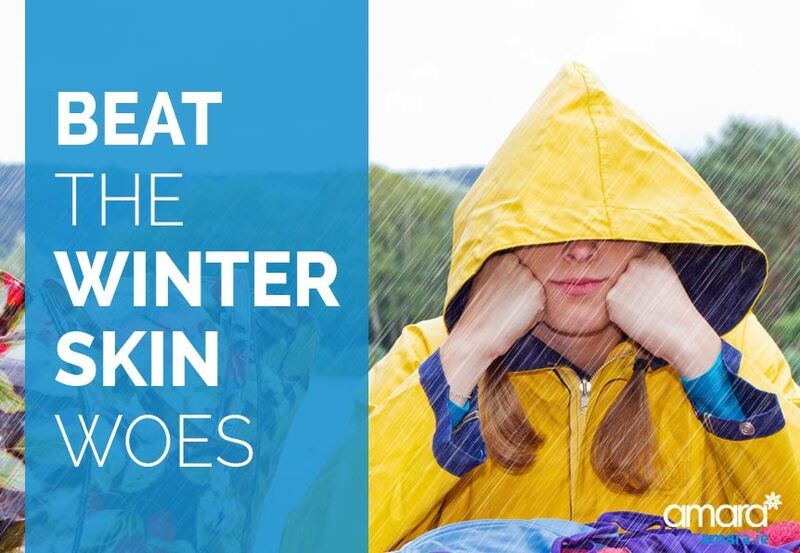 The changing weather leaves our skin dry, flaky and more prone to breakouts. Indoor heating and fires also dry out your skin as much as they warm your soul. How Can You Protect Your Skin During Winter? I had a comment on our Google + page the other day where one man couldn’t understand why you would have to wear SPF when it was snowing outside, (who knows where he was from!). Even though you may not see the sun, it’s UV rays are still there and can penetrate through the clouds. SPF is an essential part of your daily routine ALL year round to protect your skin. Depending on your skin you may have to change/add to your routine as the seasons change. Using the correct products for your skin type is essential all year round. See a skin specialist who can tell you everything about your skin and prescribe the right products for you. At Amara we use the Dr ZO Skin Health Range which is only available after a full consultation. Protect Your Skin By Drinking More Water! 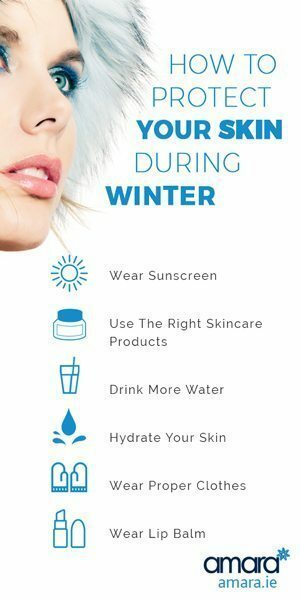 Like our bodies, our skin can become very dehydrated during the winter as we go from hot to cold very quickly and lose the moisture in our skin. Though it’s great to use nice hydrating creams and serums it is important to tackle the problem from the inside. Obviously drinking more water to stay hydrated is important, but avoiding foods high in sodium is just as important. Sodium (salt) dehydrates your body (which is why salty foods makes you thirsty). Processed foods such as ready meals, processed meats, tinned veg, crisps etc can all dry your skin from the inside. Instead have fresh fruit and veg which contain high amounts of water. Back up your water intake with a boost of hydration for your skin. The HydraFacial MD hydrates your skin and removes dead and flaky skin cells. Use the Hydrafacial as an extra defense from the cold winter weather. Here is an immediate before and after of just one HydraFacial treatment on dead skin. Obviously when it’s cold you wear a coat! But what about your hands? Our hands can become very chapped (not to mention numb) with the cold. Wear gloves to protect your hands and throw on some repair cream when you are at home. Don’t forget about your lips either. Your lips suffer with the cold weather so protect them with a good lip balm. Does your skin go numb in the winter? Book in with our Skin Health Specialist Siobhan to get your skin winter ready.